My Relaxed Hair Potion is the final step in my famous Dr. Miracle's No-Lye Relaxer. Now available for daily use, my potion is my prescription for breakage and split ends caused by hot combs, curling irons, blow drying, weather conditions and sun damage. Compare my potion to other companies oil moisturizers. * Supports strong growing hair and a healthy scalp. * Adds fabulous shine while moisturizing and conditioning. 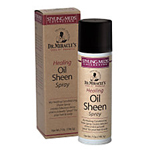 * Strengthens and protect hair and scalp. * Ends breakage and split ends. Old fashioned oil moisturizers are ok, but with my version you'll feel it working and you'll love the results. HOW TO USE : For Best Results Use Daily. 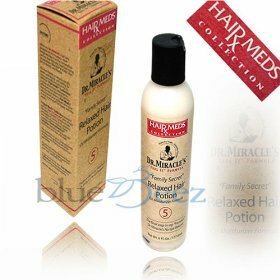 Place a generous portion of my Relaxed Hair Potion onto your hands and place on your hair from roots to ends. Use extra on the ends. Next gently massage my potion onto your scalp including the temple and nape areas. Do not rinse out. Towel or blow dry and style as usual. 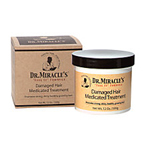 For amazing results, use my entire range of Dr.Miracle's hair care products.